This large 5 point plastic star is modern in style and often used at the top of ceramic Christmas trees or other arts and crafts projects. 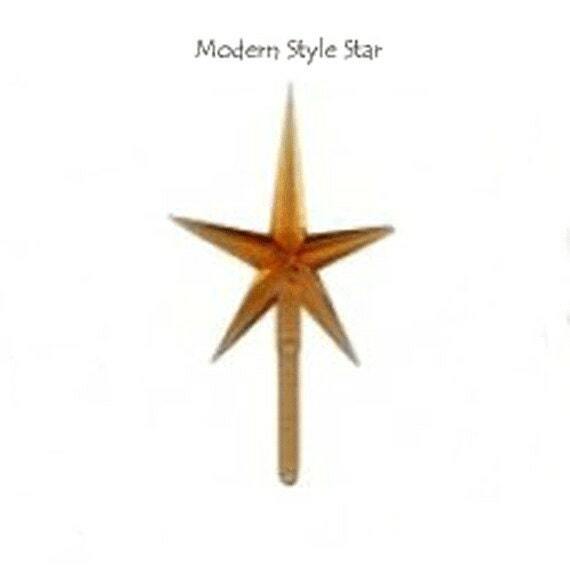 The star is made of virgin plastic. This plastic star is transparent and picks up light from inside the tree, the hole at the top of the tree must go all the way through for the glow to show. This star can be used in larger trees, I use this star in my 16 inch trees and taller. 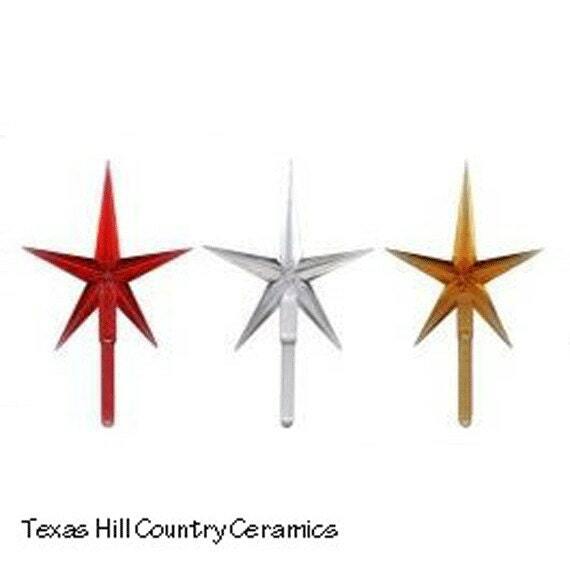 This modern style ceramic Christmas tree star is carefully molded with crisp detail. The transparent virgin plastic provides clear brilliance to ceramic Christmas trees, or any craft project. 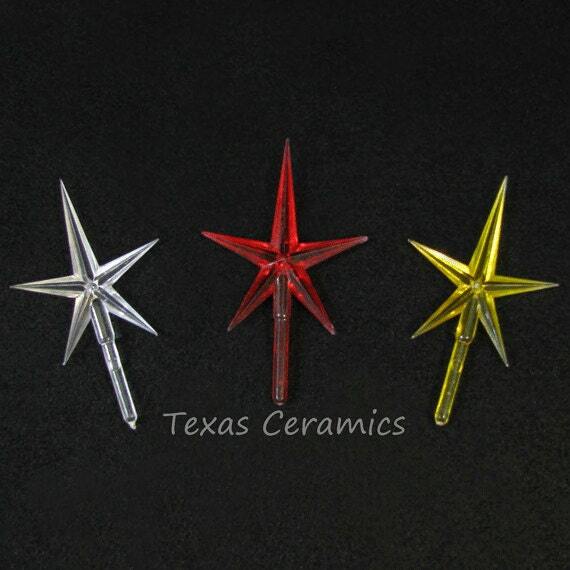 This ceramic Christmas tree star seem to "Light Up" when used in décor that's illuminated from within, the ceramic Christmas tree stars are non-electric all plastic. **Use only a tiny dab of water base glue (Elmer's or Tacky glue) to secure in projects, it is recommended to remove stars from tree tops before storing. Restore older vintage Ceramic Christmas Trees with these replacement stars and decorative plastic bulb lights. You can also use them in new ceramic trees. The plastic ceramic Christmas tree stars and lights or ornaments come in several sizes, shapes and colors. These plastic lights are often referred as decorative replacement plastic light bulbs. Loved these-- Worked out great! Item arrived quickly and was exactly what it was said to be, but do not know if it is just my ceramic tree or the star but does not reflect light like the other plastic bulbs and jewels on my tree. Thank you! These are just what I wanted and they shipped so fast!